Nokia Link is an official Microsoft tool which allows people with a Nokia phone to connect to their computer to synchronize multimedia. It allows users to perform file transfers. 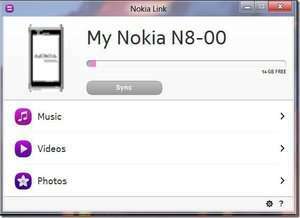 The application is pretty easy-to-use and should not be confused with Nokia's PC Suite tool which provides much more in terms of functionality. Nokia Link, on the other hand, is specifically for multimedia. Version 1.2.415.4169 is a freeware program which does not have restrictions and it's free so it doesn't cost anything. For security reasons, you should also check out the Nokia Link download at LO4D.com which includes virus and malware tests. Additional screenshots of this application download may be available, too. Nokia Link download been highly rated by our users.